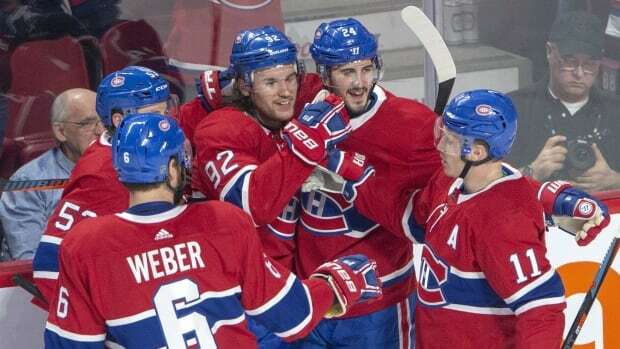 Drouin had two goals and two assists as Montreal extended its win streak to three. Danault also had three assists for a four-point game while Kotkaniemi has scored in four consecutive matches. Mark Scheifele and Brendan Lemieux scored for the Central division-leading Jets (34-17-3), who have lost two games in a row. Connor Hellebuyck stopped 48 shots in defeat. Dustin Byfuglien was back in the Jets lineup after missing 15 straight games with a lower-body injury. The big defenceman was injured against Minnesota on Dec. 29 after colliding with Wild forward Luke Kunin.